Yes to all this #BlackExcellence! 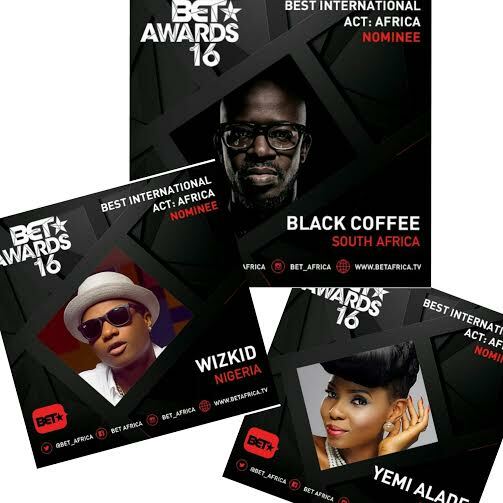 The BET Awards announced their nominations for the 2016 BET Awards and some of the top African artists were shortlisted for the BET Intl Act: Africa nominees list. So who got a nod this year? You can vote here for your favorite artist. But friends, let me level with you - I know who I am rooting for. This is a very competitive crowd but there is a clear winner for me. Who are you rooting for? The BET Awards will air live in the US on Sunday June 26 at 8:00pm on BET.